​So apparently 2017 is nearly over. When did that happen? Anywho, Christmas is literally a month away. The shopping season is here and I'll be honest, there are so many deals going on that it is hard to keep up. So I'm not going to bother with trying to tell you all the Black Friday sales because I like to have a plan and I am not the type to go out and be amongst the crowds on that day. I will say, check out the Sephora Sale section online and on the app, Ulta is having killer sales as well as Belk. Basically any place that sells makeup is having very impressive deals. More so than ever before I think. 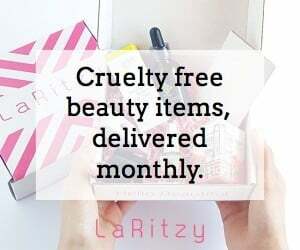 What I'm going to do is give you some gift ideas for makeup and skincare in different price ranges. At the end for kicks I'll give you some items that aren't in those categories in case you want to switch it up. ​I recently got the opportunity to try a really amazing eye cream. I've been testing it for around a month. I'm going to start by saying that up until this, I didn't feel like eye creams did anything other than soothe the eye area. I didn't notice great benefits from them and for a long time I didn't bother using a specific eye cream and would often use a balm or bring my super thick or rich creams, that were safe to use around the eye, up around the eye area. This changed my mind. ​It's time for a "Why Isn't Anyone Talking About This?" post. This time it's hard to say what this product is other than a base. It's the Color Me Underglow Hydrator and I love it. I've worn it as foundation, I've used it under foundation, and over foundations. I've used it as a base for highlight on the cheekbones. So for me it's very versatile. ​I'm going to be honest, I'm not a Charcoal fan that much. Not that I hate it, I just haven't seen as many benefits from it in order for me to really love Charcoal products. However, I love Exuviance. So when I got to use the Detox Mud Treatment (mask) I was happy to give it a whirl. ​I feel like I don't get to discuss makeup with you as much as I'd like to. I'm definitely more invested and passionate about skincare than I am makeup the older I get. Which I never thought I would feel that way but I truly do love my skin and I try to show it love lol. Anyway, I love makeup too and through the past few months I've got to try a lot of makeup that's both new and some that I just discovered for myself. From high end to drugstore we're gonna talk about all the products I've been using the most here lately. ​I've had the pleasure of getting to use a new serum from a company that I hadn't been acquainted with yet. It's called the First Light Serum and it's from Ceramiracle. This product opportunity came about at a time when I was in desperate need of intense hydration for my very very dehydrated and dry skin. I've went through that whole problem/issue in my Stressed Skin Go To's post. ​Alright everyone, it's that time of year. Sephora Friends and Family event starts TOMORROW on the 3rd. I have a previous post where I really go in depth, which I will link here, of what I think would be great buys or what I personally would get. This is going to be a quick top 10 post though of things I would get, taking into consideration what is new and what is going to be the best deal. Of course skincare comes first for me andddddddd.....there's something special for you guys as well.